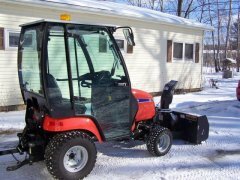 This is the first I've heard or seen of this style brush hog mower for a B-series. 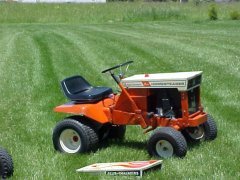 I can tell you the rear wheel and some other pieces look the same as my Danco mower I have for my 620. I'd say this was also made by them if I were to guess. Very interesting attachment. Should fetch a good price. An after market attachment not associated with AC.